NAPERVILLE, Ill., Nov. 6, 2017 /PRNewswire/ -- Media outlets can now help listeners, readers and viewers avoid crimes like identity theft, cybercrime, and hard-hitting security risks through a series of informative, short form features from Detective Dan® (a.k.a. fraud prevention and investigation expert Dan Draz). Draz is an accomplished fraud expert, consultant and investigator with extensive experience fighting fraud and solving complex financial crimes affecting businesses and consumers. He has a passion for keeping individuals and businesses up-to-date with the constantly changing information, crime and security landscape in America today. 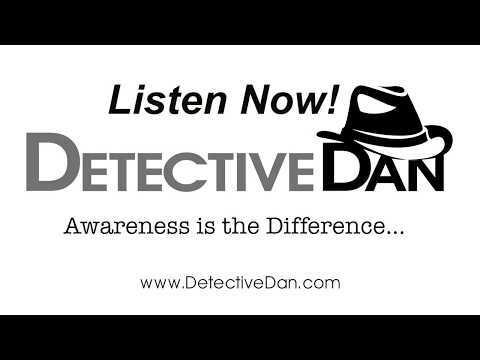 Dan Draz launches innovative new, “persona based,” short form multimedia content campaign (Radio, TV, Video, Print, Internet) as "Detective Dan" for syndicated media distribution to dramatically increase public awareness levels and reduce effect of crimes committed against individuals and businesses globally. Dan Draz, also known as Detective Dan®,is an accomplished and trusted fraud risk management expert, consultant and investigator with more than 30 years of experience fighting fraud. "The recent Equifax breach is indicative of how everyone is vulnerable to illicit activity these days. Criminals are always finding new ways to steal data, scam, and exploit people, but there are critical, easy-to-implement and proactive measures people and businesses should take to protect themselves," says Draz. "As Detective Dan®, my goal is to share this information in short, informative segments, providing Americans piece of mind about personal safety and the security of their sensitive information." Business issues: industrial espionage, theft of trade secrets, intellectual property, proprietary information, data security, insider threats, embezzlement etc. Frauds & scams: involving senior citizens, work from home, con artists, advance fee and romance schemes etc. Computer issues: cyberstalking, hacking, viruses, malware, encryption, ransomware, etc. Law enforcement issues: scams, alerts, trends, cases, personal protection etc. Personal safety (online and in person) for: parents, children and the elderly etc. Detective Dan® is the culmination of Draz's experience as a trainer, keynote speaker and consultant on fraud, investigations and cybercrime. He holds an M.S. in Economic Crime Management, a B.S. in Criminal Justice and has been a Certified Fraud Examiner since 1996 working with clients around the globe. Over the years, Draz has interacted with federal law enforcement agencies, investigated and dismantled sophisticated organized crime rings and served as a private sector liaison on multijurisdictional and international fraud cases and security matters. He's also an accomplished subject matter expert in the crime prevention space having been published in industry, trade, online and news media more than 125 times. Dan Draz (Detective Dan®) founded Fraud Solutions, and has 32 years of successful management experience involving fraud prevention, detection, investigation, analytics and enterprise risk across industries. He's a frequent keynote speaker in the crime prevention space, and produces the Detective Dan® segments, available to syndicated media networks nationwide. The spots provide invaluable information on safety, security, privacy, fraud and computer crime prevention for listeners, readers and viewers. The contents currently available for radio stations in 12 or more 60-second spots per month. Short features and added content for TV, print, video, Internet and on hold messaging systems are in development. For more information, or to hear samples, visit Detective Dan or call 630.699.5054.